The ESaver supplies the required power from various sources. The ESaver saves up to 70% in fuel and emission (dependent on the consumption profile) compared to conventional generators. Intelligent switching between the sources and using the engine only in its optimum operating range enables the ESaver to supply power with significantly reduced emissions. 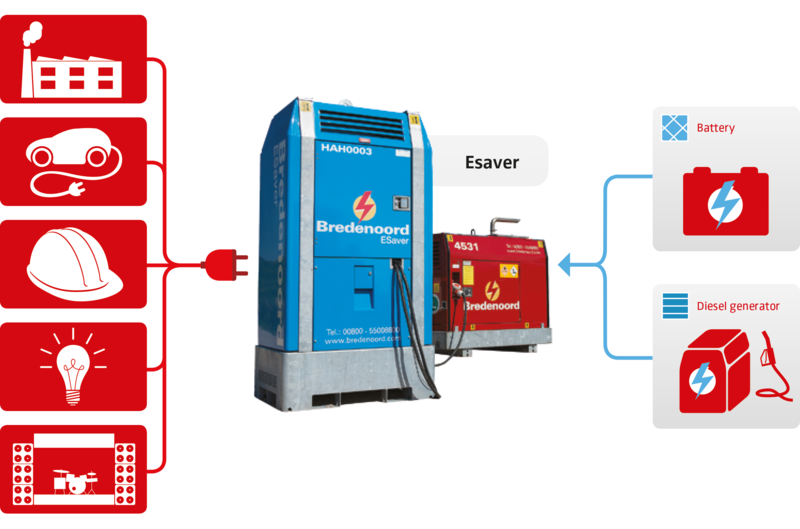 The ESaver is a smart solution in combination with a Bredenoord generator. 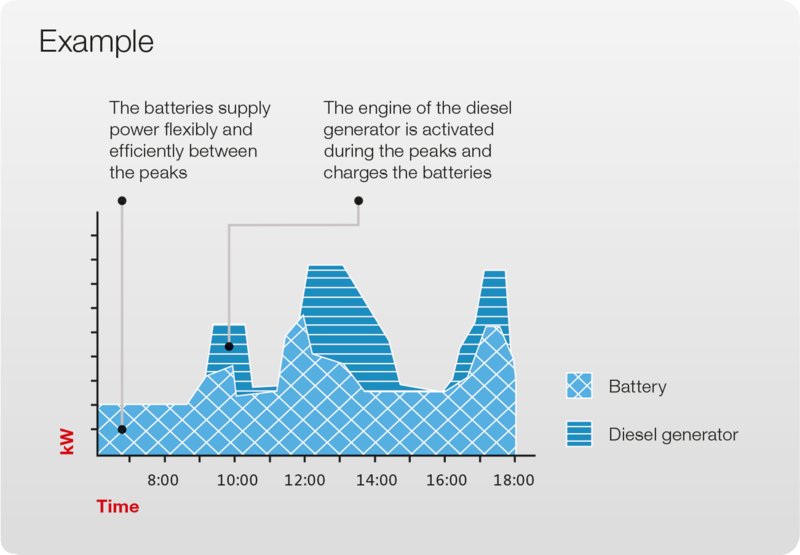 Whenever the batteries of the ESaver are just about to run down or when there is an extra peak in the demand for power, the engine of the generator kicks in at the right time, at full power, for a short period of time and therefore it only operates in its optimal operational zone. As a consequence of the engine being so optimally efficient, the power is supplied more sustainably, more economically and more quietly. The ESaver saves up to 70% in fuel and emission (dependent on the consumption profile) compared to conventional generators. Insight in consumption is obtained via the online customer portal that comes along with the ESaver. Here customers continuously monitor their on-site fuel savings and emission reduction. Bredenoord analyses this data and thus, together with the customer, it can provide an optimal use in any specific situation. For more information please check: www.bredenoordesaver.com or contact our Rental department in Apeldoorn, the Netherlands.